You will explore the Brocken with a ranger. You will learn interesting facts about history, nature, meteorology, mysticism and poetry. Already Goethe was fascinated by the Brocken and has dedicated a literary heritage to it with his Harzreise. Depending on the weather, you can enjoy the view over the Harz Mountains or hike above the clouds. From the Brockenkuppen you can observe the entrance of the nostalgic Brockenbahn. 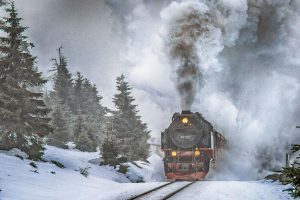 You can climb the Brocken on your own (The most beautiful hiking tours on the Brocken) or enjoy a ride on the steam locomotive. The circular hike lasts about 1 hour and has a length of about 1.6 km. Start: daily at 12.15 p.m. 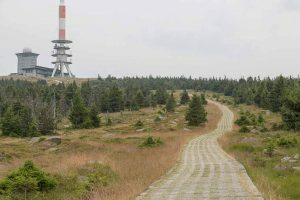 The Brocken circular hiking trail is not barrier-free!